IKEA Johor jobs vacancies 2016. Jawatan kosong IKEA Johor terkini 2016. 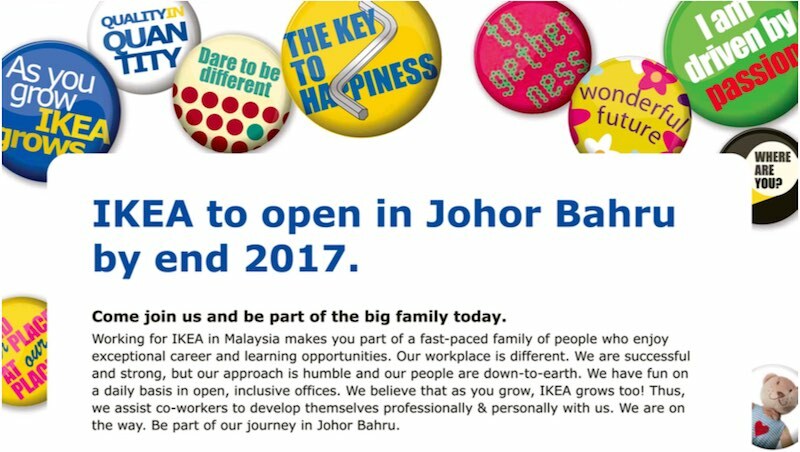 IKEA to open in Johor Bahru by end 2O17. Come join us and be part of the big family today. Working for IKEA in Malaysia makes you part of a fast-paced family of people who enjoy exceptional career and learning opportunities. Our workplace is different. We are successful and strong, but our approach is humble and our people are down-to-earth. We have fun on a daily basis in open, inclusive offices. We believe that as you grow, IKEA grows too! Thus, we assist co-workers to develop themselves professionally & personally with us. We are on the way. 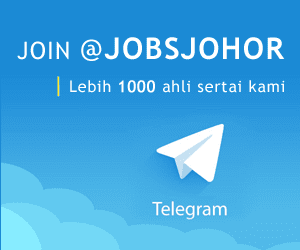 Be part of our journey in Johor Bahru. * Attractive remuneration package; contractual bonus & incentive; co-worker discount. Further information about IKEA Johor jobs description detail and how to apply online, visit IKEA.my/jobs and the available positions.